Well, we all know what revolution is. South Beach Diet, for example. British Prince caught playing strip billiards. Nicholas Cage’s new hairstyle is also a revolution, anyway always connected with the activity of volcanoes in Kamchatka. Have you heard about anything like that recently? Well, exactly. Yet there have been as epic events as the destruction of the Bastille - the premiere of "Star Wars" and the reissuing of "The Beatles" discography on audiophile vinyl, but - I think it is clear to any normal human being - the importance of these facts backwards. Any idea what's going on? Yes, it is! 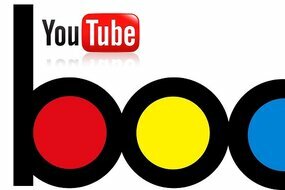 Billboard music magazine has started to include information from YouTube in its famous HOT 100 charts including the most popular music of all genres. The hit list is no longer based only on the radio airing data, sales records, downloads and streams but also on the clips’ views numbers on YouTube. And it literally changes the balance of power overnight. And it does so to such an extent that the first Billboard Hot 100 under the new methodology was topped by "Harlem Shake" by Brooklyn producer Baauer, who cleverly planned the viral campaign making the piece ‘backing track’, you know, like the background music for the dance antics. It caught on and ... we are now very curious to see what Michael Buble will come up with to return to the top of the charts. Will he disguise himself as a reindeer and bark up the fountain? Not sure about that, but I think that’s what Frank did on one of those hot nights in Las Vegas, ... or was it Elvis? Anyway – it’s gonna be difficult to come up with something original, as 4 million kids must already be figuring out to harness the power of YouTube to make their careers. The site, which already in the middle of last year became the primary source of music for young listeners, has now additionally gained a few hundred megatons by making its first musical Number One. I really don’t know what hairstyle Nicholas Cage would have to come up with to divert attention from this change in the show business.